In 2017, Able Australia celebrates its 50th Anniversary. From its humble beginnings in 1967 as an association for parents of children born deaf and blind through Rubella, it has grown into a diverse and dynamic organisation supporting more than 4000 people in the Australian Capital Territory, New South Wales, South Australia, Tasmania, Queensland and Victoria. Able Australia is one of Australia’s leading not-for-profit organisations, delivering high quality, person-centred services to people living with multiple disabilities, including deafblindness and those in need of community support services. They employ more than 500 staff and 300 volunteers who are passionate about ensuring every person supported is seen, heard, respected, valued and connected. Back in 1967, Able Australia was formed by a determined group of parents who believed in the potential of their children with deafblindness. 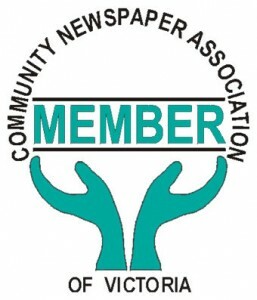 Challenging the lack of support and understanding available, the Victorian Deaf Blind and Rubella Children’s Association, as it was then known, sought to help all children with deafblindness and their parents, in part by securing suitable education and welfare facilities. Initially, the Association focused on creating resources for parents and friends of people with deafblindness, generating publicity and establishing the ‘Our Story Home Care Program’ in conjunction with the Royal Institute for the Blind. In the 1970s, the Association opened a residential facility and Special Education Centre in Kew, providing training for people with deafblindness and multiple disabilities. Continuing to prosper through the 1970s, the Association appointed its first professional staff member and directed its efforts towards providing group homes for long-term residential care. During this time, the Association commenced fundraising which still injects vital funds into its services and programs. Group homes were opened in Glen Waverley, Moorabbin and Croydon during the ’80s and in 1984, the Association changed its name to The Deafblind Association, to reflect the support it was now offering to all people with deafblindness, not just those affected by Rubella. In the ’90s, thanks to the hard work and determination of members, donors and people with deafblindness themselves, The Deafblind Association secured greater governmental funding. It was then able to launch Recreation and Community Support programs and opened group homes in Mitcham, Heidelberg and Bonbeach. 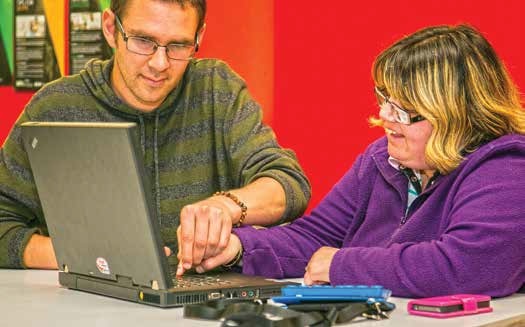 The Deafblind Association became Able Australia in 2006 to better reflect its expanding client base, which by now included services for people with multiple disabilities and a unique adaptive technology centre designed to teach people with deafblindness how to communicate through smartphones and other digital forums. Since then, the organisation has grown rapidly, branching out into Tasmania in 2006 and the Australian Capital Territory in 2011. In 2012, Able Australia established offices in Queensland to support people with a disability and senior citizens in danger of becoming socially isolated from their community. This was followed by an expansion of their Deafblind Services into South Australia, New South Wales in 2014.